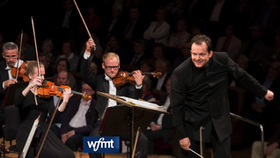 Boston Symphony Orchestra and BSO Music Director Andris Nelsons will enter into a unique multidimensional partnership with Leipzig's Gewandhausorchester in connection with Mr. Nelsons' appointment as that orchestra's Gewandhauskapellmeister, starting with the 2017-18 season. 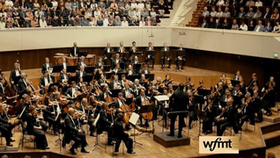 Mr. Nelsons takes on this new title with the Gewandhausorchester in addition to his long-term commitment as the Boston Symphony Orchestra Music Director through 2022 and beyond; the GWO appointment also plays a role in consolidating Mr. Nelsons' European activities. 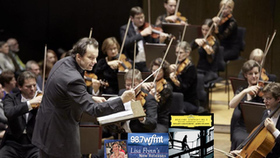 The BSO/GWO Alliance will explore the many historic connections between these two world-famous orchestras, inspire new cultural exchanges, and create a wide spectrum of performance and educational programs designed to bring a new dimension of concert experience to each of the orchestra's respective audiences. 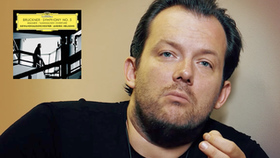 As the central figure in bringing the BSO and GWO together, Andris Nelsons will be intricately involved in the planning and implementation of all the programming initiatives between the two orchestras. 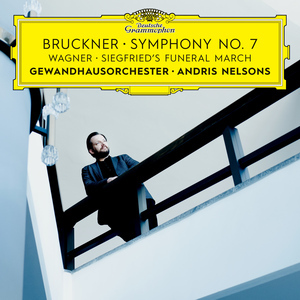 Known stateside for his Grammy-winning recordings with the Boston Symphony Orchestra for DG's first complete Shostakovich cycle, Andris Nelsons releases the third installment in his Bruckner cycle with the Gewandhausorchester. 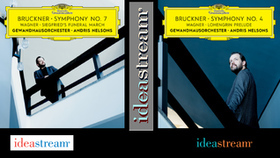 Recorded during the concerts celebrating the orchestra's 275th birthday and Nelsons' inauguration as the new Gewandhauskapellmeister, this album pairs Bruckner's Symphony No.7 with Wagner's Siegfried's Funeral March.